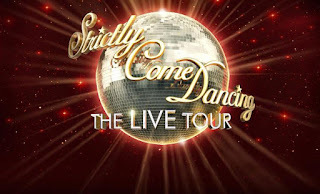 Strictly Come Dancing fans will have another chance to see the newly crowned Strictly winner, Jay McGuiness and his dance partner Aliona Vilani, on the Live UK Tour starting on Friday 22nd January at Birmingham Barclaycard Arena. Strictly Champion Jay will be joined on the dance floor by runner-up Georgia May Foote, Anita Rani, Helen George, Ainsley Harriott, Frankie Bridge and Jake Wood. This completes the line-up for the tour, along with the new tour host Mel Giedroyc and TV judges Len Goodman, Craig Revel Horwood (who also directs the tour) and Bruno Tonioli for the 30 date live extravaganza. Your winner, Jay McGuiness, is one fifth of the globally successful band, The Wanted. Since their 2010 debut album was released, they have enjoyed huge success all over the world, including two number one singles in the UK with All Time Low and Glad You Came. Arena audiences will experience all of Strictly’s glitz, glamour and breathtaking choreography, right in front of their very eyes. Strictly Come Dancing fans get to watch their favourite dancing couples compete live for votes and the all important feedback of the judges in the arenas. The audience members can then vote themselves via their mobile phone. The tour opens at the Barclaycard Arena, Birmingham on 22 January 2016. It will then visit the biggest entertainment venues across the UK: Sheffield Arena, First Direct Arena Leeds, Manchester Arena, Liverpool’s Echo Arena, Metro Radio Arena in Newcastle, The SSE Hydro in Glasgow, Nottingham’s Capital FM Arena, The SSE Arena in Wembley, before culminating at The O2, London on Valentine’s Day.